Roger Sayer is Organist and Director of Music at The Temple Church, London, having previously held the same position at Rochester Cathedral. He is also Deputy Chorus Director and Accompanist to the London Symphony Chorus. In his early years Roger was an organ student at St Paul’s Cathedral and also won many prizes for organ playing as a student at the Royal College of Music. Notably his success as a prize winner in the 1989 St Albans International Organ Competition led to a career of international recital tours which took him all over the world. He has since made many recordings both as organist and conductor which have received wide critical acclaim. Under his direction the Temple Church Choir has performed live on BBC Radio 3, Classic FM, the Cadogan Hall, in Washington DC and, more recently, Holland, the Far East and Australia. Roger is organ soloist on the soundtrack of the blockbuster film Interstellar and, in May last year, performed the score live at the Royal Albert Hall. His organ performances and recordings are numerous and, most recently, he has recorded the complete twenty sonatas of Rheinberger. Greg Morris is Associate Organist of the Temple Church in London, Musical Director of Collegium Musicum of London, and founding Musical Director of the Bar Choral Society. Church Choir. He has performed with them on BBC Radio 3, in CD recordings, and in the presence of Her Majesty the Queen, as well as on tours to Washington D.C. and Holland. He has appeared at the BBC Proms with the BBC Singers, and is in demand as a freelance accompanist and ensemble player. Greg also works extensively as a conductor. Highlights have included directing the Temple Singers and Players in Purcell’s magnificent ode, Hail! Bright Cecilia in Middle Temple Hall, and conducting Collegium Musicum of London in Brahms’ Ein Deutsches Requiem in a new chamber version at St James’ Piccadilly. Plans for this year include Arion and the Dolphin, a new work by Jonathan Dove, and Haydn’s Creation. Anne Denholm is one of Britain’s leading young harpists, and is Official Harpist to HRH The Prince of Wales. She is earning a reputation for her dynamic and engaging performances across a variety of musical fields. 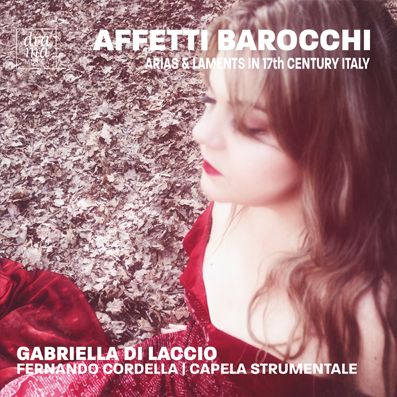 She received her Master’s from the Royal Academy of Music (RAM) in London with distinction, graduating with the Renata Scheffel-Stein Harp Prize, the Sir Reginald Thatcher Prize, and a Regency Award for notable achievement. Whilst at the RAM, she was the first ever harpist to win the historic RAM Club Prize, and was twice winner of the Skaila Kanga Harp Prize. Denholm underwent a British musical upbringing, studying at the Junior Department of the Royal Welsh College of Music and Drama, the Purcell School, Cambridge University and the RAM. She has won numerous prizes in local, national and international competitions, including second place in the Wales International Harp Festival 2014 and reaching the string category finals of the BBC Young Musician in 2010. Concerto appearances have included works by Handel, Mozart, Pierné and Glière. Anne is increasingly in demand as an interpreter and performer of new music; she has been recording and premiering new works for solo harp since 2006, and in 2013-14 worked with Sally Beamish on a video project of her work, Awuya. She is a founding member of contemporary experimental quartet, The Hermes Experiment, and greatly enjoys working with the Birmingham Contemporary Music Group. Anne freelances with orchestras across England, most recently working with the City of Birmingham Symphony Orchestra, the Orchestre Révolutionnaire et Romantique and The Orchestra of the Swan. She also enjoys working with choirs; collaborators have included The Temple Church Choir, Ely Cathedral Girls’ Choir, The Choir of St John’s College Cambridge, City of London Chamber Choir, and Voce Chamber Choir. Saxophonist and composer Mark Lockheart first came to prominence in the mid-1980s with the influential big band Loose Tubes. Mark was a featured soloist in Mark Anthony Turnage’s About Water, which was premiered on the Southbank in June 2007. He collaborated several times more with Turnage, performing his A Man Descending and in the opera Anna Nicole which was premiered at the Royal Opera House in 2011. In 2009 Mark’s quintet album In Deep was released to critical acclaim and the following year saw the release of his first big band album Days Like These with the Hamburg-based NDR big band. That same year Mark was awarded APPJC ‘Parliamentary Jazz Musician of the Year 2010.’ In 2013 he released Ellington in Anticipation, a radical reworking of Ellington melodies. The CD attracted four and five-star reviews and was MOJO magazine’s ‘Jazz Album of 2013’. Mark’s most recent trio Malija released its debut CD in Dec 2015 to critical acclaim. Recent success at the Jazz FM Awards saw Mark coming away with ‘instrumentalist of the year 2016’. The Temple Church Choir of 18 boy-choristers and twelve choirmen has in recentyears regained the prestige it enjoyed when Sir George Thalben-Ball and Ernest Lough made (in 1926) their world-famous recording of Mendelssohn’s Hear my Prayer/O, for the wings of a Dove. The present choir shot back to prominence with the commission and – at the Temple Church itself – the première of John Tavener’s all-night musical vigil The Veil of the Temple, ‘Tavener’s masterpiece’ (The Daily Telegraph). The Choir took The Veil to the Lincoln Center Festival in New York, and then to the Proms in a shortened version which was released on a double-CD by Sony. This recording has been followed by three further discs from the choir, all of them critically acclaimed. In recent years the choristers have appeared on Hyperion’s new release of Britten’s St Nicholas, performed The Ceremony of Carols at the opening concert of the Britten Centenary celebrations at the Snape Maltings in Aldeburgh, joined forces with the BBC Singers in Britten’s A Babe was Born at the Proms in the Royal Albert Hall, and broadcast a memorial concert to Sir John Tavener on Classic FM. Last year they also joined the BBC Singers in a recording of music by Judith Weir, which was broadcast recently on BBC Radio 3. The Choir is proud to commission new music, including works from Thomas Adès and Gabriel Jackson. In November 2014 the choir gave the première of A Safe Stronghold, a collaboration between two young composers to commemorate the 100th anniversary of the outbreak of the First World War – the German Lars Schwarze and the British Gareth Treseder. Nico Muhly’s Our Present Charter was commissioned to mark the 800th anniversary of Magna Carta, and as part of events to celebrate the same anniversary, the choir performed at both the Library of Congress and the Supreme Court in Washington D.C. Our Present Charter also appears on the choir’s latest CD for Signum, A Knight’s Progress, released last year, which features additional music by Haydn, Parry, Walton and Vaughan Williams. On the morning of Monday 15 June 2015 at Runnymede Meadow, the Temple Church Choir performed a new anthem by John Rutter, in the presence of HM The Queen and HRH The Duke of Edinburgh, to mark the 800th Anniversary of the sealing of Magna Carta. The Choir also toured Holland at the end of July, where it performed a programme of five concerts in some of the country’s finest churches and cathedrals. Last November Classic FM broadcast John Rutter’s 70th Birthday Concert sung by the Temple Church Choir who were joined by the Winchester College Quiristers. The Choir rounded off 2015 with a live performance on BBCRadio 3 as part of the Temple Winter Festival. In February this year, the Choir’s Ash Wednesday Choral Evensong was broadcast live on BBC Radio 3.